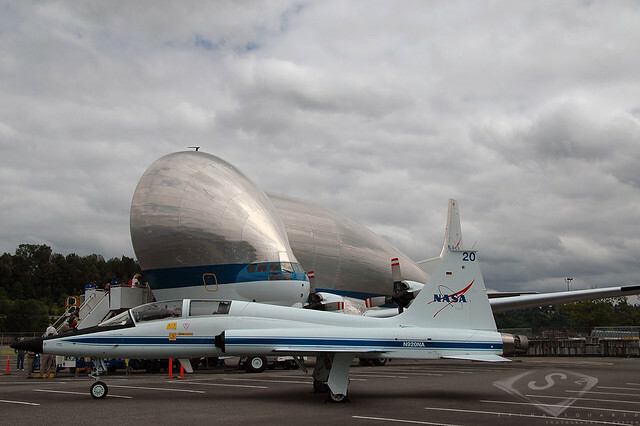 While Seattle missed out on getting a decommissioned Space Shuttle to add to the Museum of Flight, we did end up with NASA’s space shuttle trainer. 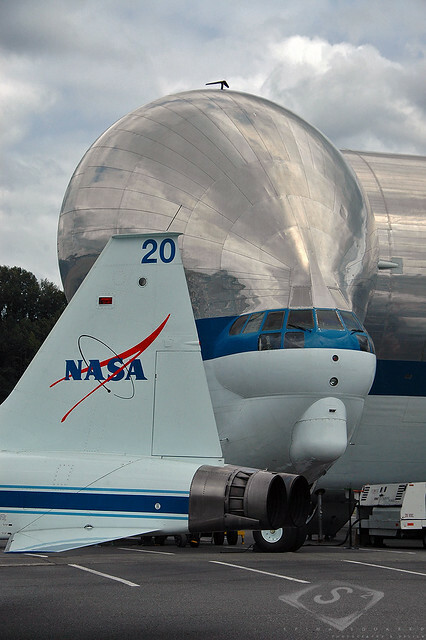 For over 30-years the Full Fuselage Trainer served as a training platform at the Johnson Space Center in Houston for every NASA space shuttle astronaut and is a full-scale mock-up of the real deal less a set of wings. 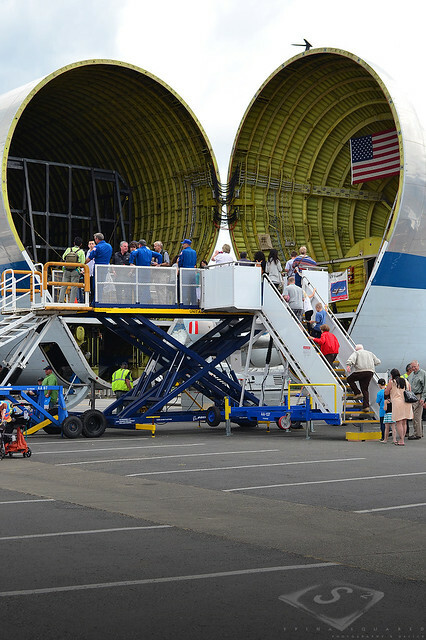 The first of three sections arrived this last weekend via the “Super Guppy”, a Boeing C-97 built in 1957. 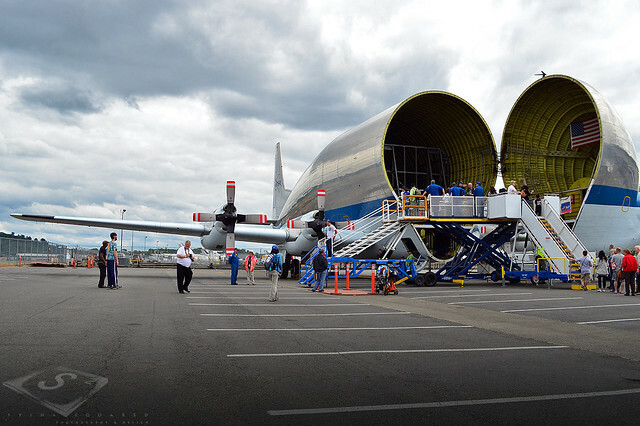 It was modified in 1981 into what is now the only flying example of these awkward-looking jumbo cargo planes and currently commissioned to haul NASA’s Space Shuttle Trainer to Seattle’s Museum of Flight. 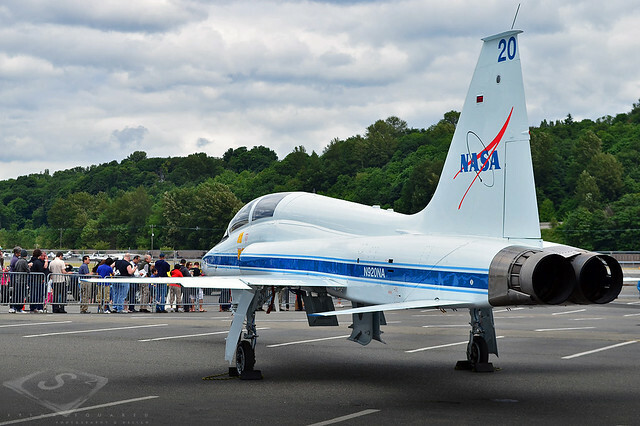 We went to check it out for its first one-day visit shortly after we heard it fly over our home. 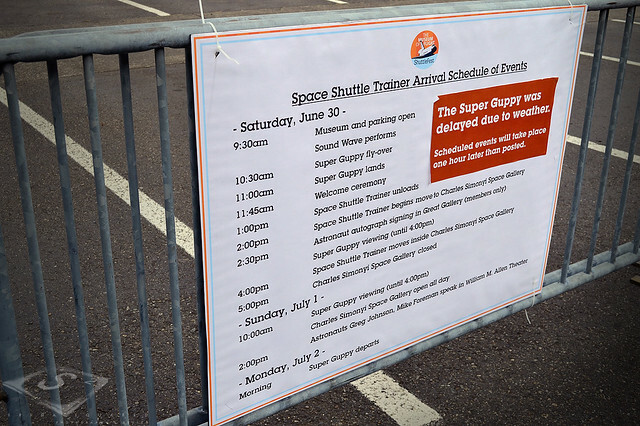 If you missed out or want to check it out again you’ll have your chance when the Super Guppy returns bringing more Space Shuttle Trainer parts the third week of July. 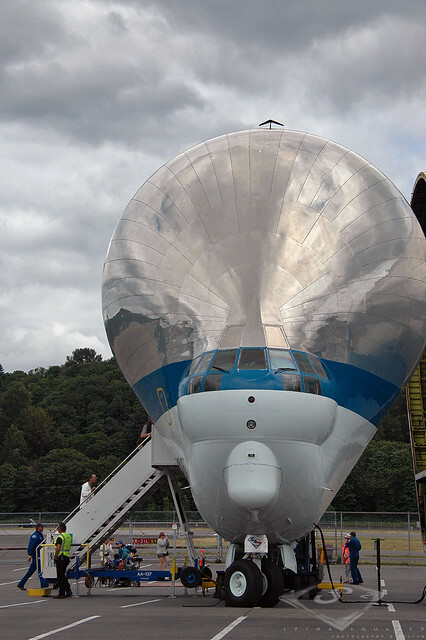 Meanwhile, the Charles Simonyi Space Gallery is a new 15,500 square foot exhibition hall across the street from the Museum of Flight and is the new home for the Full Fuselage Trainer where the first and most recognizable piece sits on display – the front/nose section. We’ll wait for the crowds to die down and check it out when it’s completely reassembled, making sure to stop at the nearby Starbucks Reclamation Drive-Thru just down the street for a pre-visit refreshment. You can find the rest of our images from this day in our gallery.